When Redemptive Developments (RD) started as a social enterprise in Edmonton seven years ago, its aim was to create employment, help diminish poverty and invest in the community. Becoming one of the biggest mattress recyclers in Western Canada was never on the radar. But that’s what has happened. In 2011, under the umbrella of its charity, The Jasper Place Wellness Centre (JPWC), partners from business and social work backgrounds found initial success for RD with one pick up truck and a trailer for junk removal. Seeing the furniture and mattresses that were filling the landfill, RD then created Salvage, a second-hand store that diverts useable furniture from the dump and offers affordable options to vulnerable community members. 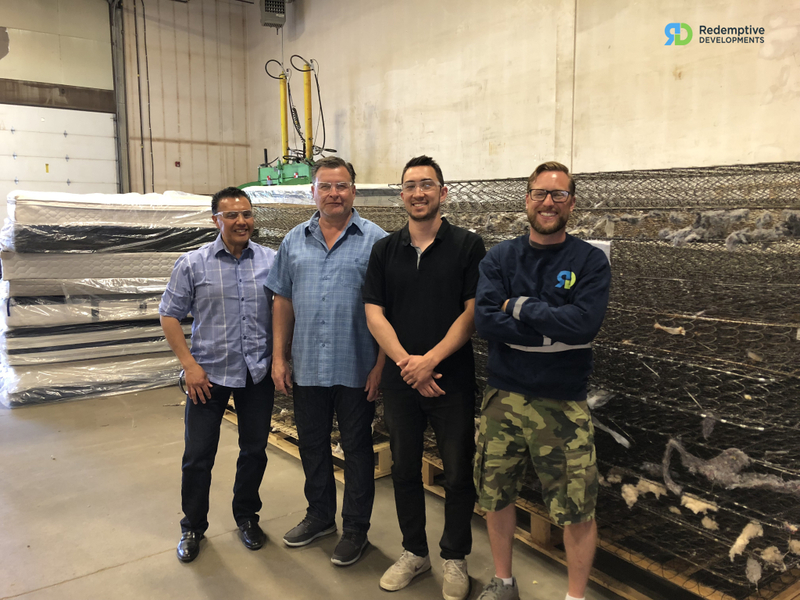 After learning that about 30,000 mattresses per year were being dumped, RD responded with another social enterprise, Evergreen Mattress Recycling. Along with hotel and retail clients, RD won the contract to recycle mattresses from the City of Edmonton’s Waste Management Centre. In its 10,000 square-foot west end facility, the innovative social enterprise has created business opportunity where social and environmental needs collide. RD pays a living wage to dozens of seasonal employees, even rivaling big players like 1-800-Got-Junk in the competitive industry. In 2017, Evergreen Mattress Recycling kept 51,000 mattresses out of the landfill—and aiming to hit 100,000 in 2018–separating mattresses largely by hand and donating or selling the wood, foam and metal parts.